We all know Airtel has operations in Africa and as of September 2015, it has close to 90 Million customer base. Facebook and Airtel were working together in India to provide Airtel Zero, which aimed to providing basic things free of cost, however Airtel later backed out from the deal owing to big fight back from Net Neutrality advocates. While the current status of Airtel Zero and Free Basics in India is not known, Airtel and Facebook have decided to spread it across African sub-continent. Earlier this week, Facebook announced the launch of Free Basics in 17 African countries with the help of Airtel to provide basic internet services for free. The services will be rolled out in phases by March 2016. Free Basics currently offers free information on health, education and finance from the websites and app developers who are part of Free Basics network. These services primarily targets the population in rural areas and those having zilch or very low access to the internet. Chris Daniels, Vice President at Internet.Org commented, “We are excited to continue our partnership with Airtel in bringing more people online. More than one billion people have access to Internet.org’s free basic services across Asia, Africa and Latin America today. Our intention is to help the people in Africa access relevant basic services,”. Free Basics will be launched in Airtel Nigeria, DRC, Gabon and Niger in the first phase, followed by other Airtel Africa markets. What this means for African countries and other developing countries for that matter is that only some internet services will be provided for free, and if the user has to go any further into the internet, there will be costs associated with it. This was the cause of all the debate in India and people taking it to social media to show their resentment. After all the hoopla about the term ‘Internet.Org’ and the capitalism surrounding it, Facebook quickly decided to change the name to Free Basics to avoid any more controversies. While the name has been changed, there is little difference between the old and the new applications. 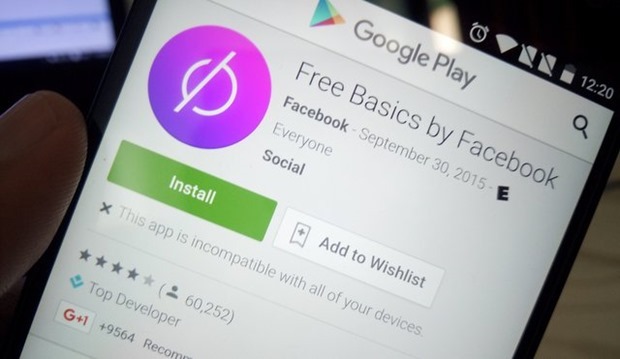 Since the change in the name, Free Basics by Facebook is available on the Google Play store, and customers will now be redirected to Free Basics website instead of Internet.Org. "Airtel and Facebook partner to Provide Free Basics in 17 African Countries", 5 out of 5 based on 1 ratings. Anonymous Wants To Disrupt ISIS Communications With Crowdsourcing! Publishes Hacking Guides Online.